Patricia Gibbons Rosenthal died painlessly and secure in faith on Oct. 17, 2013. Patricia was born Feb. 22, 1919, in Chester, Mont., to Walter S. and Ruby A. Gibbons. She had three brothers, Joseph, John and James. She is survived by two brothers: John of Los Angeles, Calif.; and Jim of Redmond, Wash.; daughter and son-in-law, Winnifred and Wolfgang Adolph of Tallahassee, Fla., as well as many loving nieces, nephews and godchildren. She grew up in Eureka, graduating from high school here. 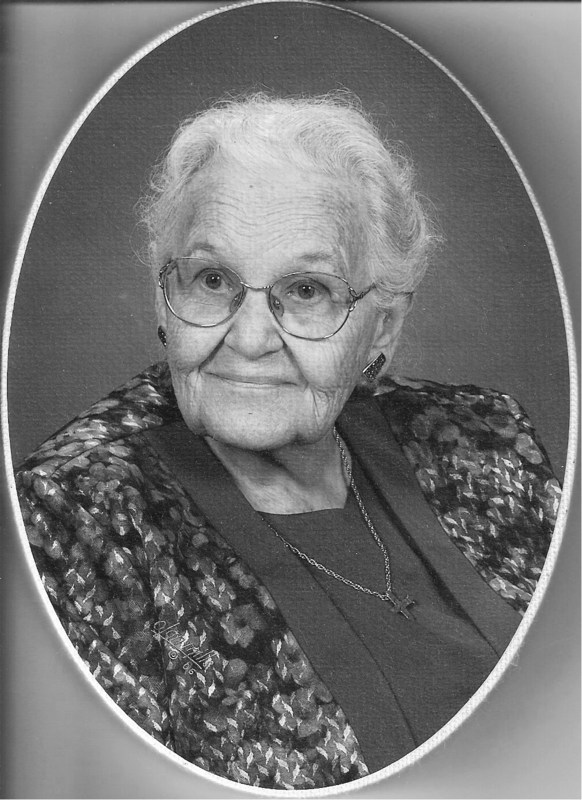 As a 1940 library science graduate of the University of Montana in Missoula, she spent her lifetime as a librarian. Her first job was in the public library in Kalispell. In her long career, she worked in various capacities in many states, ranging from children’s librarian to genealogist. She spoke at the National Genealogical Society. A hallmark of her life was service to the Episcopal Church. In 1944 she married the Rev. Willis M. Rosenthal, and they served in many parishes across the country. Patricia served as diocesan chair of the United Thank Offering, Oregon; on the first diocesan Archives and History Committee and as chair of the Episcopal Women, North Carolina. She also served as a delegate to both national and diocesan conventions. In Utah, she also learned the art of liturgical embroidery and decorated many church vestments. In her professional life, she served on the First Mayor’s Committee on Women’s Rights in Salisbury, N.C., during the campaign to gain equal rights for women. In Salisbury, she was a member of the Business and Professional Women. Upon retirement, she and her husband moved first to Cooleemee, N.C., then to Penick Village in Southern Pines, N.C., in 1993. In Penick Village she served as librarian in the south building for 15 years, as president of the residents’ association for three years and two terms on the board of directors. She served as a member of the planning committee for the new Penick Village campus and was an early and enthusiastic supporter of the Garden Cottage assisted living format. At her death she was an honorary member of the Penick Board. She was a charter member of the Saint Monica’s chapter of the Daughters of the King at Emmanuel Church in Southern Pines and herself joined the organization on her 21st birthday. Her ashes will be interred next to those of her husband of 54 years at Saint Matthews Church in Salisbury, N.C. In lieu of flowers, please consider a memorial contribution to the Penick Village Foundation, 500 E. Rhode Island Ave., Southern Pines, N.C., 28387 or Thompson Child and Family Focus, 6800 St. Peter’s Lane, Matthews, N.C. 28105-8548.